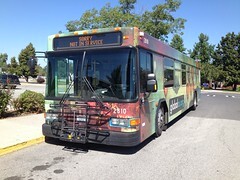 Routes 20, 24, and 25 – In order to streamline local service in Richland, Routes 20 and 24 will be deleted and replaced by Route 25. Route 25 already runs in place of Route 20/24 on Saturdays. During the week (Monday-Friday), Route 25 will leave Knight Street Transit Center every half-hour, and on Saturday it will leave every 60 minutes. Routes 66 – Due to the increasing number of residents in West Pasco, Route 66 will be extended to Road 100 via Road 84/Chapel Hills Blvd. The map below explains it a bit further. At the corner of Broadmoor Blvd/Road 100 and Chapel Hills Blvd, the bus running Route 66 will switch over to Route 67 and then proceed back to 22nd Avenue Transit Center. 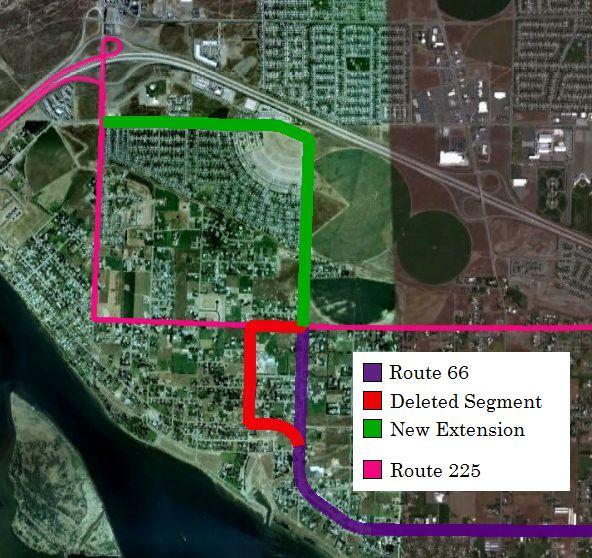 The same thing will occur when a bus running Route 67 arrives in the area and then switches over to Route 66 to return to 22nd Avenue Transit Center. A key thing to remember is that Route 66 will still only be a Monday-Friday route. On Saturdays, Route 67 will run independently, turning around via Broadmoor Blvd, St Thomas Drive, and Chapel Hills Blvd. Service on Route 225 will not be affected by this. Route 110 – Instead of travelling on Keene Road between Bombing Range Road and Duportail Street, Route 110 will be shifted over to Kennedy Road in an effort to bring better service to the area. No plans are in place to add Saturday service to this route for now. 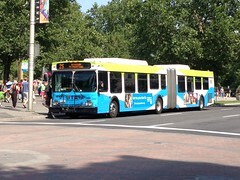 Route 120 – It had been proposed to make some major changes to Route 120, the biggest of which would see the route completely bypassing Huntington Transit Center. However, public opposition forced BFT officials to withdraw this idea. Route 120 will still be keeping it’s same schedule between Huntington Transit Center and 22nd Avenue Transit Center, but riders will see a 15 minute gap between pull times for Route 120 and all the other routes serving 22nd Avenue Transit Center during the week (Monday-Friday; Saturday is unaffected). 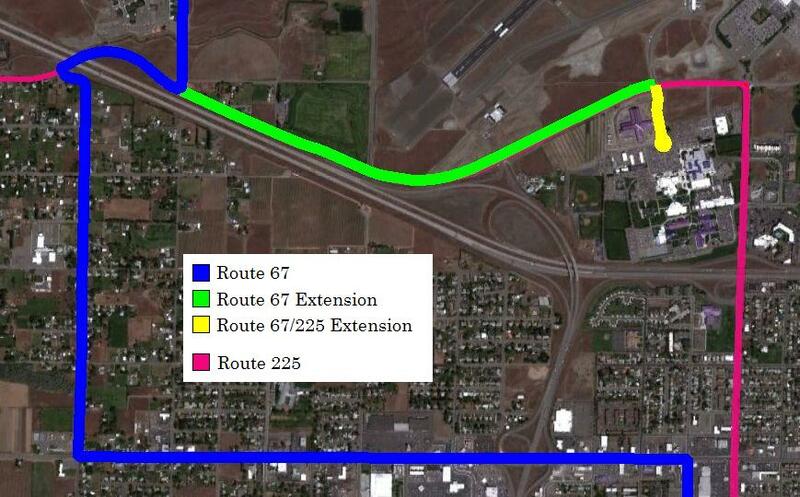 Also, a small subtle change will be made to Route 120’s routing through the “Brotherhood” neighborhood in West Richland. Currently, the bus runs via up Grosscup Blvd, left on Gray Street, up 60th Avenue, left on Jamison Street, and left on 62nd Avenue back to Van Giesen Street/SR 240. To simplify Route 120, it’ll be changed to simply just run down Gray Street instead of trying to navigate the narrow streets in the neighborhood. All Routes at 22nd Avenue Transit Center – In an effort to solve the problem of buses on Routes 160 and 225 running late and missing connections, all routes serving 22nd Avenue Transit Center (except Route 120) will move to departure times at :00/:30 during the week (Monday to Friday). This will make the trip on Route 160 between Dayton Street Transfer Point and 22nd Avenue Transit Center run at a 30 minute segment (instead of the current 15). 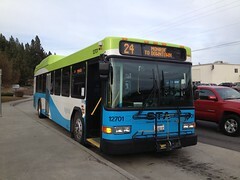 For Route 225, the trip between Knight Street Transit Center and 22nd Avenue Transit Center will run at a 45 minute segment (instead of the current 30). However, it’s important to note that service on Saturday will remain the same, with departure times still at :15/:45 and no extended run time for Routes 160 and 225.